On Tuesday, the NFL announced it will be returning to London for the 2019 season with four games, two at world-renown Wembley Stadium and two at the brand-new Tottenham Hotspur Stadium. NFL On Location – the league’s official hospitality partner – brought fans across the pond for all three matchups in 2018, providing a unique, once-in-a-lifetime VIP experience. The NFL London Games have been played for over a decade, dating back to 2007, and after three straight sellouts in 2018 culminating with a record-breaking crowd of 85,870 for the Eagles and Jaguars game, the league decided to expand its offerings across the Atlantic Ocean. The London Games have a Super Bowl-like feel with a European soccer atmosphere. 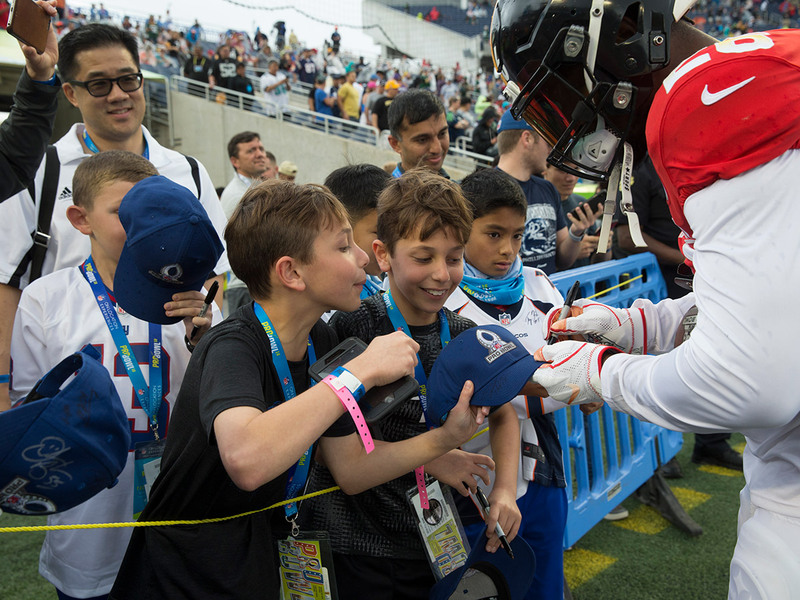 Fans from the United States, United Kingdom and overseas attend, making it an incredible opportunity to get the entire world involved with the NFL. Tottenham Hotspur Stadium, which will be home to London’s Premier League, began construction in 2015 and will be ready for the 2018-19 season. It is built to be a multi-purpose stadium that will have a synthetic turf underneath for the NFL London Games, concerts and other events. As the Official Hospitality of the NFL, On Location has been in London providing fans memorable experiences. During the 2018 games, guests enjoyed London’s culture through exclusive tours, had meet and greets with NFL Legends, attended official pregame parties and were given access to prime seat locations. On Location is excited for what the 2019 schedule has in store. Additionally, On Location Experiences offers exclusive access to the NFL’s other signature events including Super Bowl LIII in Atlanta, the rapidly approaching Mexico Game, Pro Bowl and the 2019 Draft in Nashville. Don’t miss out on what the 2019 London games has in store! Learn more about our NFL London Ticket Package experiences.